American Classic? Hard to tell. I was ready to like Leonardo DiCaprio as the eponymous protagonist in this upcoming adaptation directed by Baz Luhrmann. I had forgiven them both for Romeo and Juliet and had come to accept that cinematic effort in all its smoking guns glory as a useful and exciting way to introduce teenagers to one of the most difficult stories Shakespeare has to offer in terms of engagement and narrative. I thought Carey Mulligan would work as the beautiful, thoughtless and morally bereft Daisy Buchanan, and I actually thought Toby Maguire was perfect for Nick Carraway, the deceptively innocent looking young man from the Midwest who comes out to New York to make a living and resist the city corrupting his soul while he hypocritically claims the moral high ground. Nor am I so close-minded as to think that a non-American director can’t handle an American story. Sam Mendes did too good a job with American Beauty for anyone to think that. Apprehensive though my English teacher’s heart was about this sublime story being given the Hollywood treatment again, I had been convinced by various parties and was ready to believe that it could be done with style and still convey some sense of the aesthetic wonder that is Fitzgerald’s prose. It left me with something nameless beyond apprehension, something approaching dread. How can you tell a quintessentially ‘Jazz Age’ story without jazz? What this trailer appears to do is take Gatsby out of the roaring 20s, and place him firmly in the twentyteens (that seems all right, doesn’t it?) not so much roaring as swaggering with his trousers around his knees and his bling firmly on show, dressed to impress. Which is not to say I have a problem with the presence of hip hop or even Jack White’s cover of U2’s ‘Love is Blind’. I can actually see the parallels and the reasoning perfectly. 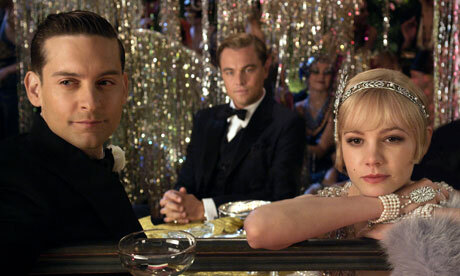 The song that was chosen for the trailer, ‘No Church in the Wild’ by Jay-Z and Kanye West, seems to ‘teach the lesson’ of Gatsby, dropping lines like, ‘When we die the money we can’t keep,’ but it also talks about ‘the girl in all leopard… rubbing the wood like Kiki Shepherd,’ not quite the flapper dresses, feather boas and the Charleston of the roaring 20s. But still, I can see the temptation. In all honesty, there is a lot of rap that is about acquiring material wealth and flaunting it as a kind of two fingers to an oppressive state and rigid class structure that has made it all but impossible to acquire such wealth or any sort of social mobility. 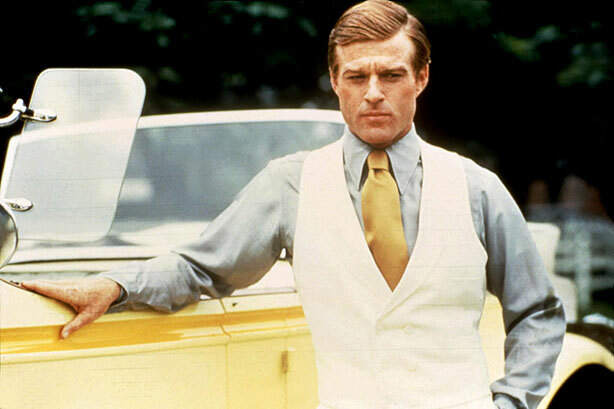 And Gatsby is a man who makes his fortune dishonestly but for what seem like the right reasons, holding a quixotic candle for years to one day impress Daisy in the same way Pip one day would like to be ‘good enough’ for Stella. So the excess, the decadence, and the emptiness is all there. And I can see that. But why then does it need to be updated? Why take away the joie de vivre of jazz that ultimately evokes the hollowness of the glitz and glitter indulged in by these characters, especially when that loud whizz bang blare of apparent life and unthinking esprit serves to heighten the depths of pathos at the end? It’s not as though it’s a story that’s completely alien to us. The young and the restless of a generation get carried away speculating with money they either don’t have or that doesn’t exist or will never come back from bad loans but no one heeds the warnings because everybody’s having fun. No one wants to hear about it because everybody’s too busy spending money and partying. The desolation when the party stops is stark and unbearable. Sound familiar anyone? Those of us who have been in education or in theatre or just appreciators of beautifully composed language know that translation is an occasional but lamentable necessity and that something is always lost. Will what appears to be one long F Scott Fitzgerald inspired music video manage to convey the existential longing in lines like ‘Men and girls came and went like moths among the whisperings and the champagne and the stars…’ and the subsequent tragedy, or will this story be a narrative with the life-blood cruelly drawn out of it? Will this, in the more modern sense of the word be, simply a tragedy?